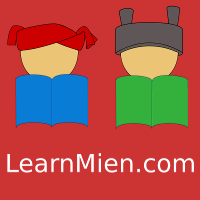 There are many Mien people out there who would like to learn the Mien language, but are not able to attend some of the programs out there due to distance, location or time issues. LearnMien.com provides an online environment similar to the education that can be obtained from a physical classroom. By providing a learning portal online, everyone can get to similar education and obtain the same knowledge anytime and from anywhere in the world. There are a lot of difficulties and barriers to preserving a minority culture in a modern time and country, but every resource available will help. And I hope this site will help in preserving the Mien culture in such places. Don't forget who you are. Keep the culture alive and the tradition going.